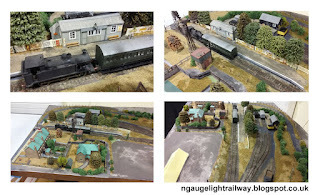 Back in July 2018 we were invited to show our Cliddesden model railway at an event staged by 'The Will Hay Appreciation Society' in Clidddesden village on October 14th 2018. 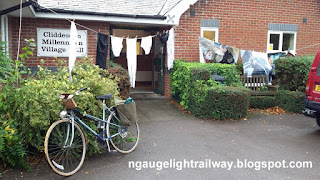 The connection of course is Will Hays film 'Oh Mr. Porter' that in 1937 used Cliddesden Station for its fictitious location Buggleskelly. 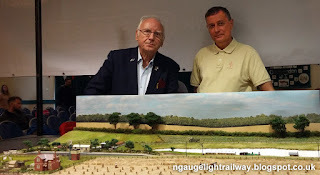 Since building our model of Cliddesden Station in 2011 we had a hunch that one day we would be showing the model at some event in Cliddesden itself but did not think it would be such a specialised event as this. Open to members and public by advanced ticket purchase the event was fully subscribed. About 180 people attended. 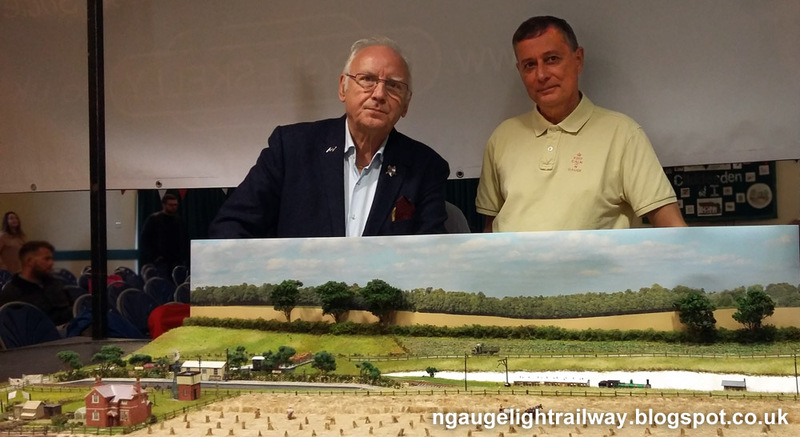 Notable attendees were members of the film stars families and special guest Peter Waterman (well known personality, avid Will Hay fan and railway modeler) who kindly agreed to a photo with our model. On arrival we were surprised to see another model of Cliddesden Station already set up. Was this a competition? 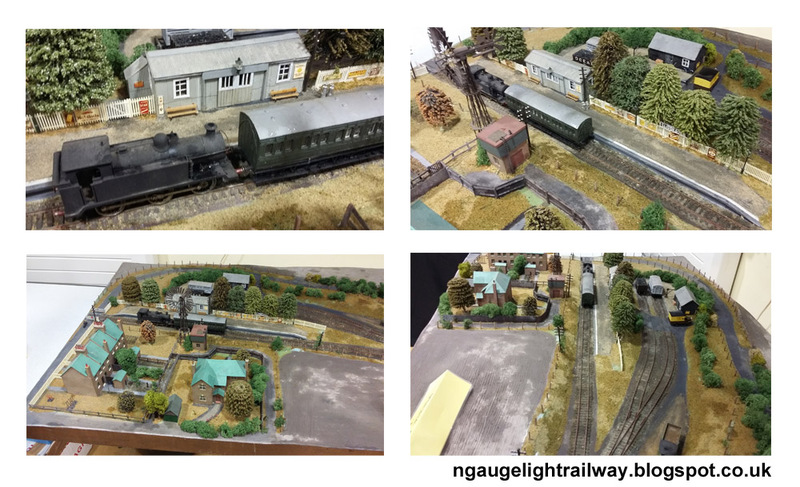 Apparently, this 00 gauge model set in the 1930s, was an unexpected late addition to the programme brought in by a local resident. The Basingstoke Silver Band gave a performance and two Will Hay feature films were shown together with documentaries about the Film Stars. 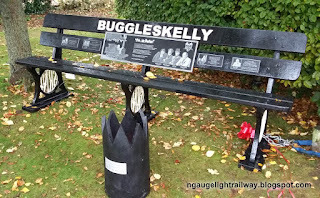 A memorial bench funded from donations was unveiled at the village hall. Further funds are being raised to restore Will Hays grave memorials. To some people our model provided context to the filming location of Oh Mr Porter. Several people commented on knowing about our model. Tom Marshall, founder of the Society was one. 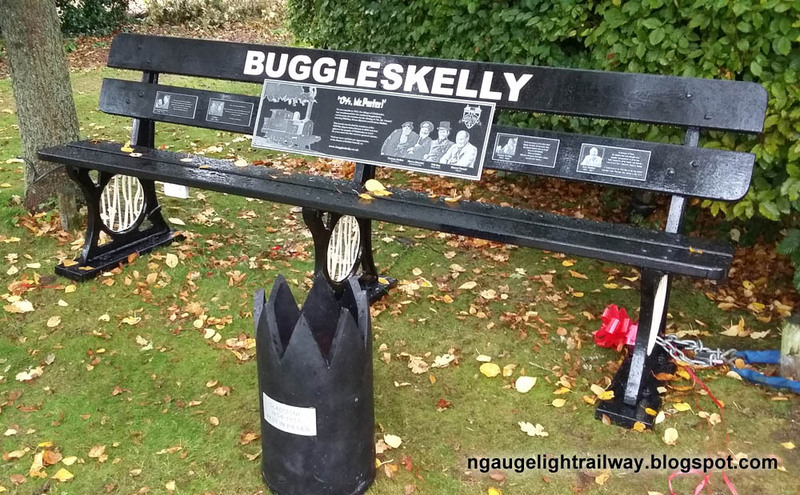 He is also a follower of our Blog and was inspired to make his own model of Cliddesden Station but as the film set Buggleskelly. (c) Edward Smith - 2012 - All Rights Reserved. Awesome Inc. theme. Powered by Blogger.